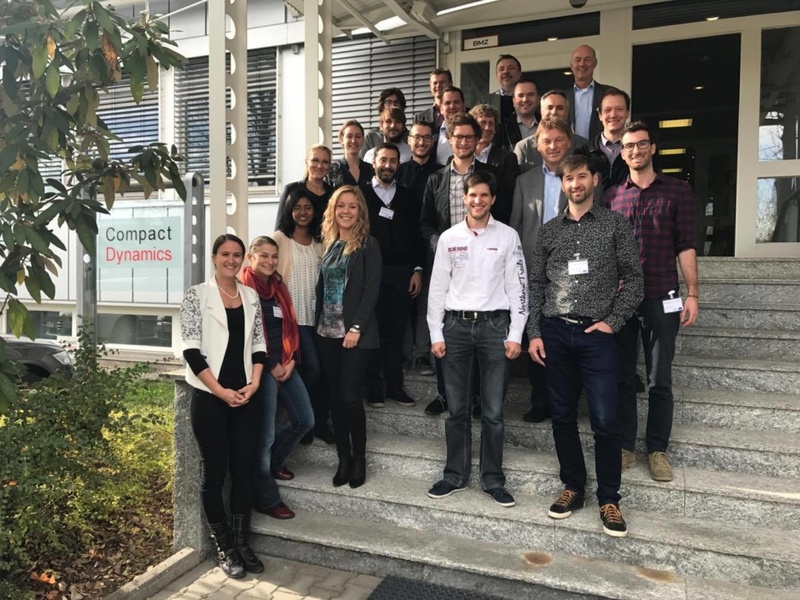 On 24th and 25th October 2017, the second MAHEPA Plenary Meeting was held at the headquarters of Compact Dynamics in Starnberg, to discuss the progress made on the development of modular architectural concepts for hybrid electric aircraft and to plan further activities in powertrain system design and component specifications. 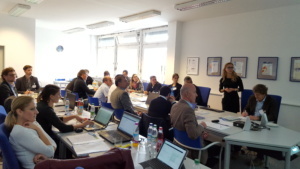 MAHEPA partners gathered again, this time in Starnberg (Germany) at the headquarters of Compact Dynamics. 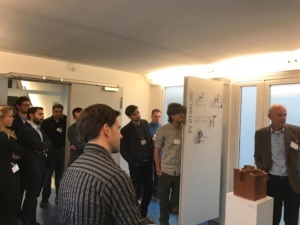 In the two-day event, partners discussed project progress and participated in a factory tour, in which Compact Dynamic presented the facilities where the design and development of innovative electric drives take place, as well as the manufacturing of pre-production models and production of small series. The overall objective of MAHEPA is to bridge the gap between the research and product stage of a low emission propulsion technology to meet the environmental goals for aviation towards the year 2050. After six months of intense research work and with valuable inputs provided by students, attending the MAHEPA Hackathon, the conceptual framework of the modular architecture for aircraft hybrid electric propulsion is quickly getting close to completion. The partners exchanged the latest updates on their activities and agreed on the final necessary actions to finalise the concept of modular architecture for hybrid electric aircraft. 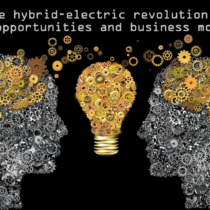 The following months will see the partners from the industry and research centres delve deeper in component qualification and assembly into ICE-Hybrid (internal combustion engine) and FC-hybrid (fuel cell) powertrains. Partners concluded the meeting sharing valuable updates on current work and establishing a solid action plan for the upcoming research and development activities. As a result of many hours of research work, the project has made a definite step closer to bring its innovative hybrid electric aircraft to full implementation. MAHEPA project is developing and flying two new hybrid electric powertrains to enable cleaner, quieter and more efficient aircraft propulsion.